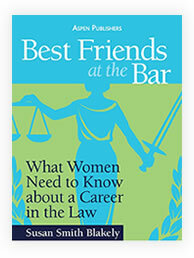 Almost 40% of women leave the profession of law mid-career. That is 2 to 3 times as many women as men, and it is a high percentage. For people outside the profession, it can appear to be lunacy to leave a high-paying job in a respectable profession. 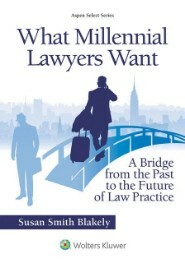 So, why do so many women lawyers leave a profession that has required a dedication of so much of their time and money? Some of the reasons that women leave are very personal, but others fall into common categories. One of those common reasons, of course, is the work-life challenge that women face as the bearers of the children and the primary care-takers in most families. But, what are the others? Some of them may surprise you. According to a recent article in Huffington Post Business, those reasons include failing to find meaning in the work, being surrounded by toxic or dysfunctional environments or people, and unappealing role models. Although you cannot plan for some of these, others should be more obvious to you when you are researching job opportunities or interviewing. So, you may have more control over these things than you think. If that is the case, be sure that you TAKE CONTROL. Unappealing role models: Too many young women lawyers do not have positive role models in their firms and organizations. 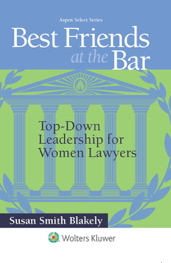 So many women lawyers dropped out in the 80’s and 90’s, and, as a result, there now is a dearth of women lawyers in management and leadership. Many of the women at high levels of management and leadership have sacrificed much of what the young women today hold dear, e.g., families and children, and the young women cannot identify with these senior lawyers. There is no question that this failure to identify with or embrace the work is a serious dilemma for young women lawyers. It also is becoming a serious dilemma for young male lawyers, but the young women seem to experience it more significantly because of their unique roles as women, wives, mothers and family caretakers. 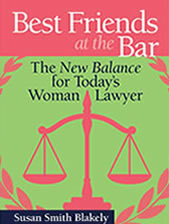 Even with these drawbacks, however, many young women lawyers report satisfaction with the mental challenge of the job, interaction with smart and skilled colleagues, the opportunity to learn new things and acquire new skills and, of course, the relative high salaries paid to lawyers. How do you gauge your professional happiness? Where are you on the spectrum? Keep this list on your desktop and consult it from time to time. Think about those questions and how you would answer them. Sometimes the problem does not require a change of profession as much as it requires a change of culture or surroundings. You also need to be careful not to overreact to your circumstances. After all, it is called “work” because it is not “play.” Important jobs take commitment and sacrifice. The key is knowing how much. This entry was posted in Career Counselors, Law Firm Managers, Law Students, Lifestyle, Practice Advice, Pre-law, Young Lawyer. Bookmark the permalink.